One of the most famous charity organizations in the world—the March of Dimes—has suddenly become much less charitable to the scientific causes it funded. The organization has canceled research grants totaling $3 million that it had already awarded to dozens of scientists, Nature reported Friday. On 24 July, 37 grant recipients received an e-mail from the March of Dimes Foundation in New York City informing them that their 3-year grants had been cut off, retroactively, starting on 30 June. Many of the researchers were only a year into their projects, and had had just enough time to hire and train staff, purchase supplies and generate preliminary results. Now, several say that they might need to lay off employees, euthanize lab animals and shelve their research projects if they cannot find other funding—fast. The decision to cut off funding was due to mounting budgetary concerns, Kelle Moley, the group’s chief scientific officer, told Nature. The organization, originally founded in 1938 by Franklin D. Roosevelt to combat polio, has in more recent decades focused on improving health outcomes for mothers and their children. But it has been losing money for at least several years, according to the organization’s own available financial statements. Last year, it also announced plans to sell its national headquarters in White Plains, New York. According to Moley, the bulk of the research the organization will continue to fund focuses on preventing premature births. Among the projects canceled included research into conditions such as Down syndrome and congenital Zika infection, which is known to cause serious birth defects. “It’s hard to not have money, but it’s much harder to start a project, get it going and then lose it all,” Andrew Holland, a molecular biologist at Johns Hopkins University in Baltimore, Maryland who had his grant cut off, told Nature. Holland and his team had been studying microcephaly, a birth defect sometimes caused by Zika that results in a smaller-than-usual head and brain. The organization’s grant policy apparently allows them to cut off funding at any time, but it hasn’t offered any explanation as to why the move was so sudden. 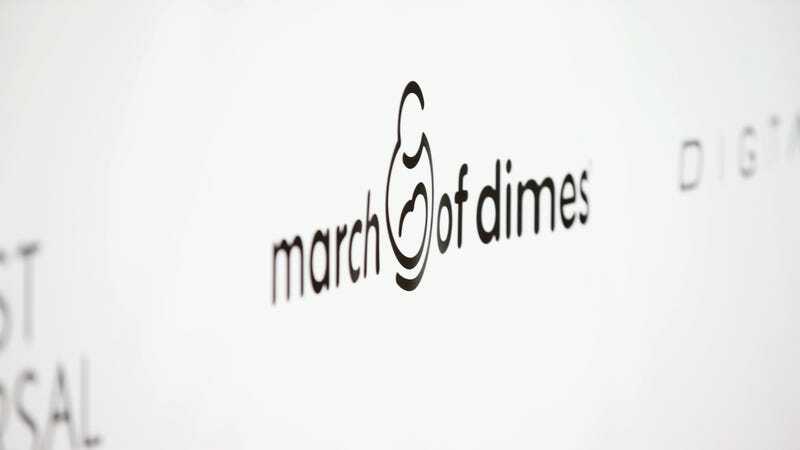 March of Dimes did not immediately respond to a request for comment from Gizmodo. Update: March of Dimes reached out after this article was published, with a statement attributed to Kelle Moley. “The preterm birth rate has increased for the third year in a row. The United States has the highest rates of premature birth in the industrial world and preterm birth is the leading cause of newborn death–it affects 15 million babies globally each year. This is why March of Dimes will continue to invest $17 million in 2018 to fund our Prematurity Research Centers, Basil O’Connor awards and select individual research programs that specifically address preterm birth. At the same time, given our overall resources, March of Dimes has made the difficult decision to reduce grant awards to researchers whose work does not directly impact the prevention and care of premature birth. We have had to carefully evaluate current and prospective research programs to ensure we are targeting very specific programs to meet very specific health objectives around reducing preterm birth rates.